The Smithsonian’s National Museum of American History and Princeton Architectural Press have collaborated on a new book that takes readers into one of America’s favorite dollhouses. 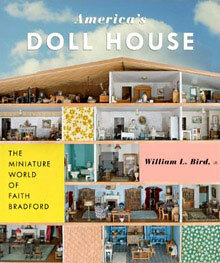 America’s Doll House: The Miniature World of Faith Bradford by museum curator William L. Bird Jr. celebrates a cherished object that visitors have come to know for generations. Faith Bradford (1880-1970), a native of Rochester, N.Y., was a resident of Chevy Chase, Md., and a retired employee of the Library of Congress when in 1951 she donated her collection of miniature dollhouse furniture to the Smithsonian. The five-story dollhouse on view at the Museum of American History was designed, decorated and furnished by Bradford. 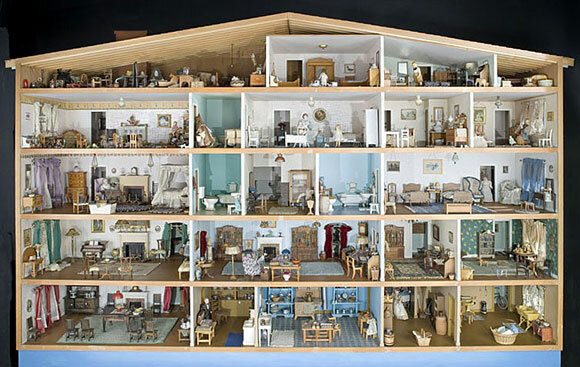 It has 23 rooms and 1,354 miniature specimens, and its furnishings include linens, lamps, toys and even a goldfish bowl. Some of these were purchased, others were gifts, but Bradford channeled much of her creative side into the house by also using ordinary everyday things such as buttons for dinner plates and matchsticks for shelved books. Residing in the dollhouse are Mr. and Mrs. Peter Doll, their 10 children, two visiting grandparents, five servants and 20 pets. In 1951, Bradford’s collection was displayed in a specially built model house at the Arts and Industries Building and later moved to the new National Museum of History and Technology (renamed National Museum of American History in 1980). Before her death in 1970, Bradford frequently visited the exhibition, answering visitors’ questions, participating in the dollhouse’s semi-annual cleaning and setting out holiday decorations. Bird, who is a curator in the museum’s political history division, sheds light on Bradford’s accomplishments in the book. At 128 pages, the book has more than 70 new and historic images that support Bird’s compelling narrative of Bradford’s creation. Close-up photography provides intricate details of each room in the dollhouse allowing readers a more intimate look at the lives of its residents. In the photo of the dollhouse’s parlor, readers can see items such as tiny chess pieces, glass heirlooms and the aquarium that holds the family goldfish Goldie, Wiggle and Dart, as if the readers themselves were standing in the room. The book is available for $24.95. 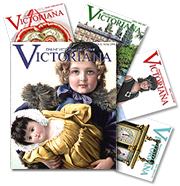 Take an eight page tour of the Dolls’ house and click on the close-ups of individual rooms filled with miniature furnishings.